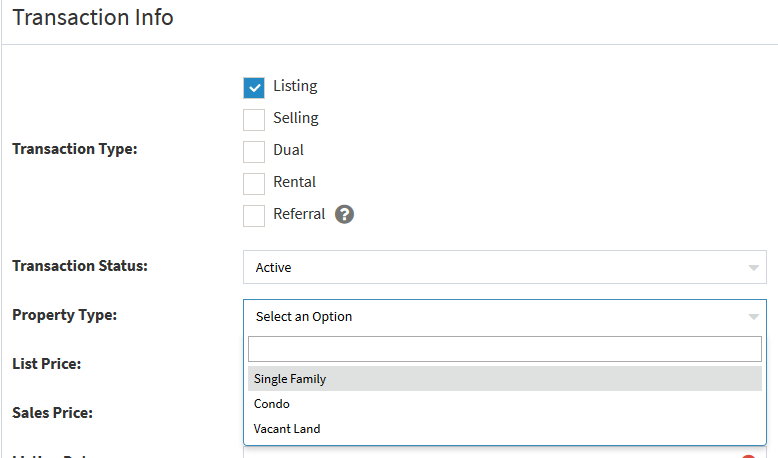 You can add custom property types to a transaction such as Single Family, Condo, Vacant Land, etc... for more visibility into the type of deals you are doing. To set up the property types go to Settings > Tags and click the Add Tag button. Enter the tag description which would be the property type, and select Property Type from the Tag Type drop down and click Save. Then when you go to add or edit a transaction you'll see a Property Type drop down where you can select the property type for the transaction.